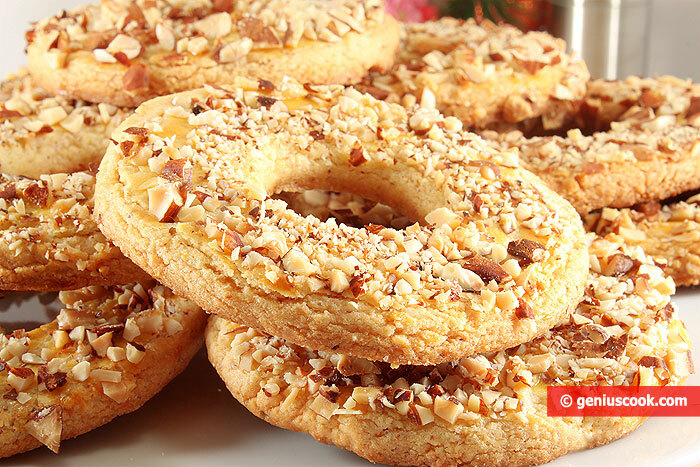 These cookies have the shape of rings; they are thickly sprinkled with chopped nuts and seem to remind us of our childhood. These rings used to be sold in any confectionery and in school cafeterias. The taste of nut rings is unmatched. If you try them, it will be impossible to forget this taste. Almonds (or any other nuts): 50 gr. ground into a dough + 50/70 gr. for sprinkling chopped rings. 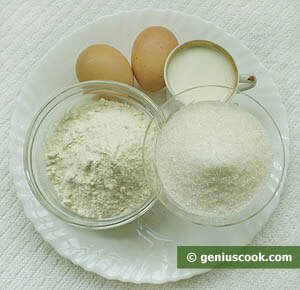 Sift flour with baking powder, salt and starch. Add ground almonds. Mix yolks with sugar and soft butter. Add the dry ingredients. Knead soft dough. If it is too dry, add a spoonful of cold water. 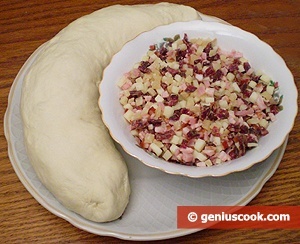 Roll the dough into a ball, cover with cling film, and place it in the refrigerator for 30-40 minutes. 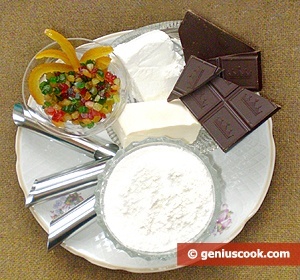 Sprinkle the working surface with flour, put the dough and knead it well. 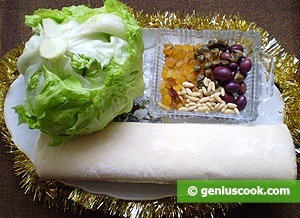 Roll the dough – though not too finely – and cut the rings, using two forms – one large and one smaller. 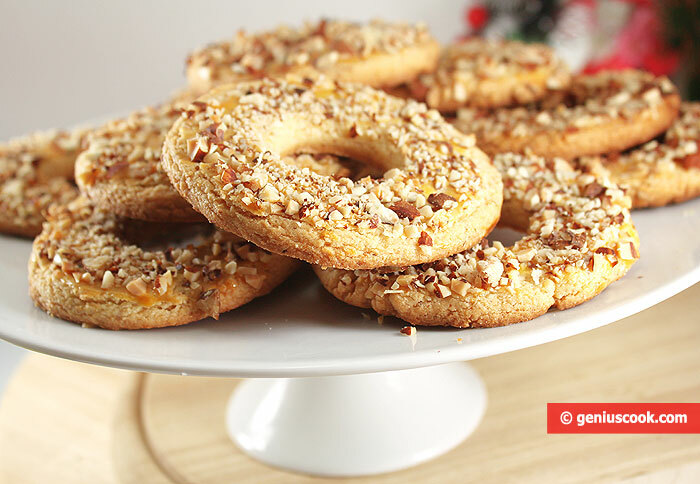 Grease each ring with a yolk and dip the greased surface in chopped nuts, pressing the ring lightly. Place the rings on a baking sheet.